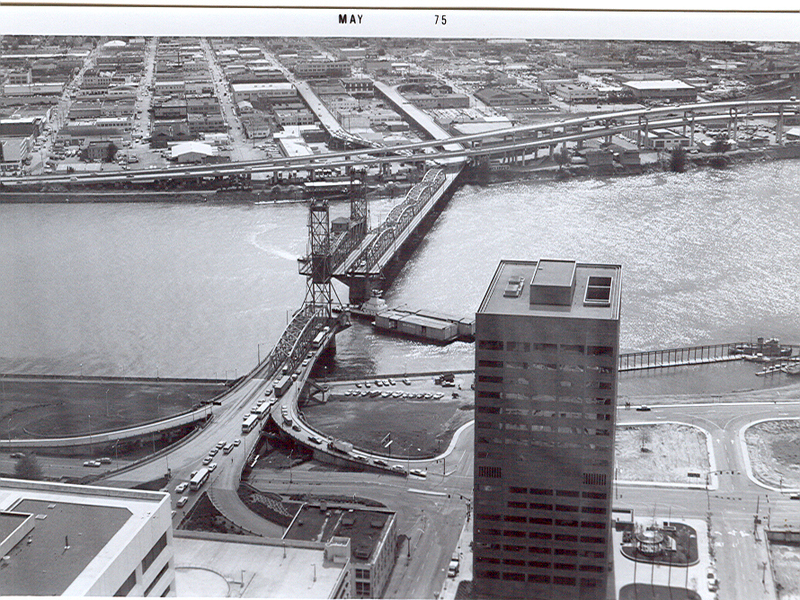 VP fan John Hamnett was working on the 38th floor of the First National Bank Tower (now Wells Fargo Tower) in 1975 when he took these photos centered on the Willamette River looking northeast and east. Harbor Drive had only recently been removed and Waterfront Park was not yet complete. The World Trade Center construction was just getting underway. Thanks, John! The lack of construction clutter in the World Trade center foundation makes me wonder if there was a work stoppage like on the Moyer Tower project. Looking at these pictures makes me realize I-5 wouldn’t work if it were on the west side of the river. 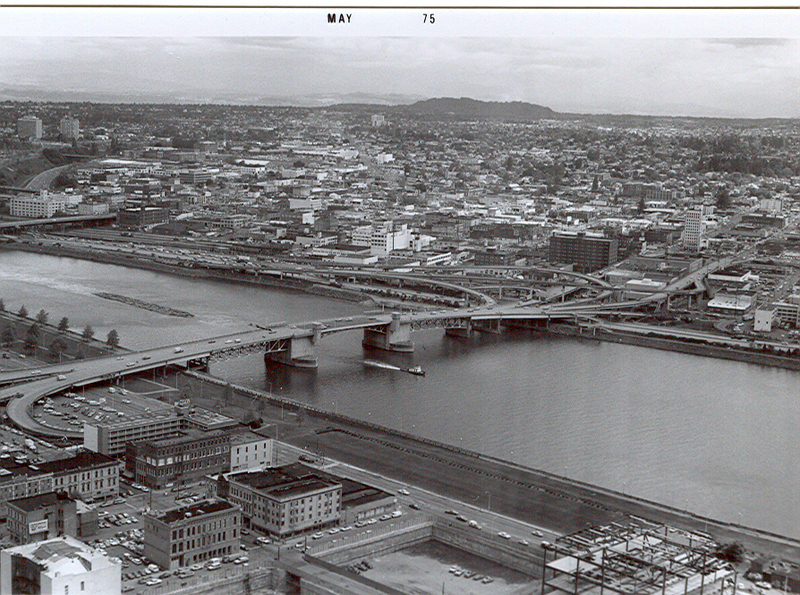 wish i had a camera in 1970’s when i was recovering from knee surgery in an upper floor room of lovejoy hospital and watching the new fremont bridge being built. OK, Someone run over there and reconstruct these photos so we can get a comparison view…..
yea you are right cary. There are rows of streetlights sticking out of mud of the former Harbor Drive! Ah…the beautiful ramp stubs to the (sniff, sniff, bawl) Mt. Hood Freeway. Oh, how many people DO miss the never built freeway.